Welcome to E-fu Chinese Cloths Shop. 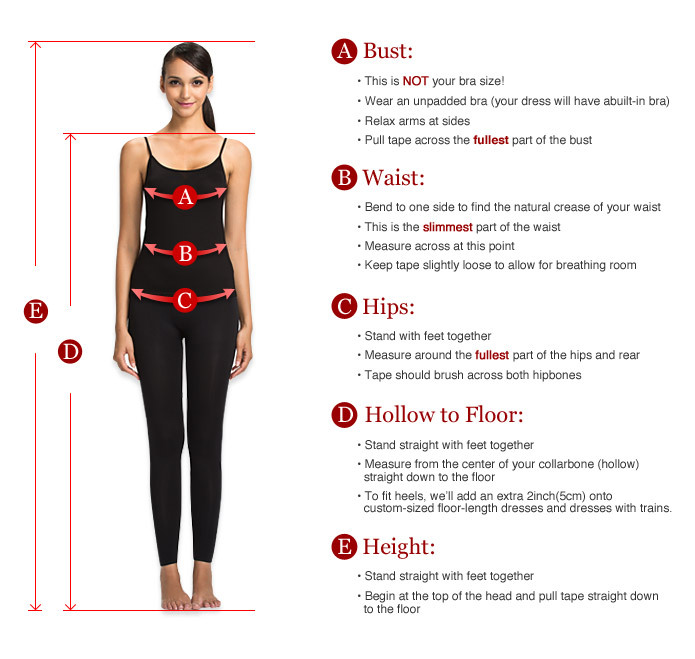 Chinese Efu-shop has been operating in the cheongsam/qipao more than 10 years.In recent years, we make clothes for people from all over the world, such as USA, UK, Germany, and others Europe areas. Our management theory is " try our best to satisfy every customer". 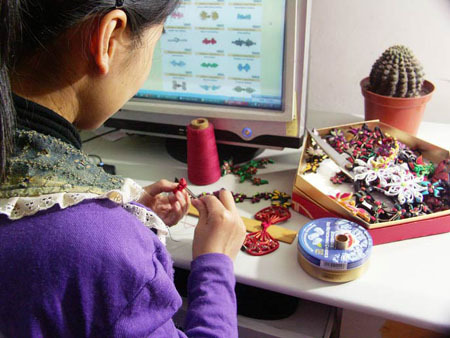 All garments are tailormade by Chinese tailors who have more than 10 years experience in cheongsam & qipao tailoring, so the you will be content with the workmanship and the quality of the fabric. 2. 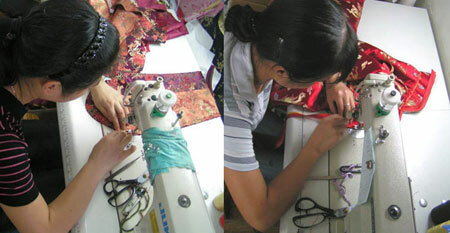 Our tailors Ms Zhang and Ms Tang are sewing the dresses. 3. She is making the buttons. 4. Our tailor Ms Zhang is sewing the buttons. We provide services of tailoring clothes mainly, as well as selling national clothes and decorations, ready-made clothes and Fabrics. 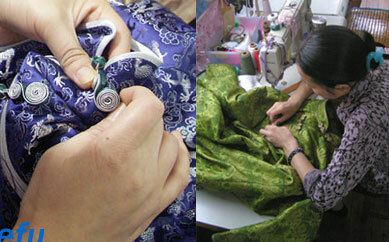 All the national clothes are made by the master tailors with proficiency. So the clothes not only in line with the traditional Asian dress habits, but also with the Western aesthetic, Just send us the information about your measurements, favorite style and Fabric of the clothes, we will do it for you. We'll add new service items and expand product stock gradually. We also make wedding dresses, evening dresses, ect. according to customer's design requested. Offering comprehensive services and superior products, we welcome companies worldwide to cooperate with us. Send us your sample/photo, or tell us your request! 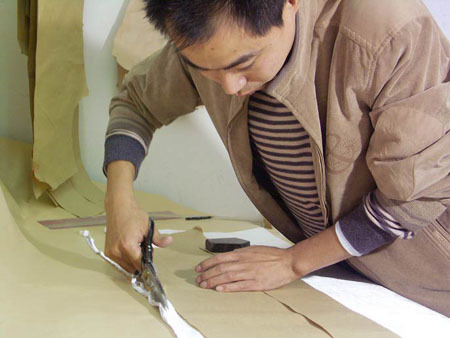 Since our shop is still in the process of perfecting, our services may not be so satisfactory. We sincerely hope you will forgive us. We also expect for your valuable advices which will spur us to improve. You can write your advices and send e-mail to us. Frequently asked questions are listed in the FAQ. If you have other requirements, please contact us directly.